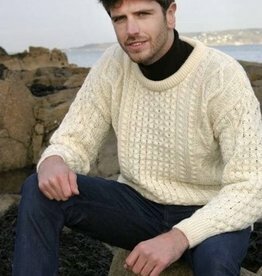 The Traditional Aran Sweater takes its name from the Aran Islands in Galway and dates back for many generations. 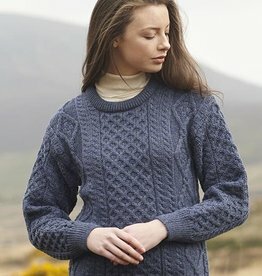 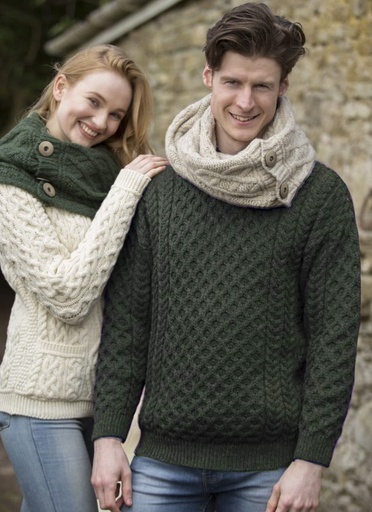 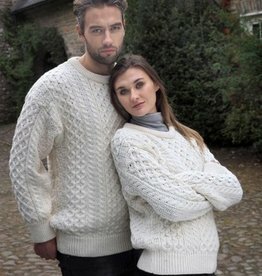 The Aran sweater has a long tradition in farming & fishing communities, every stitching style has an important significance relating to such things as health, happiness and safety at sea. 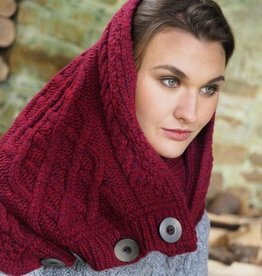 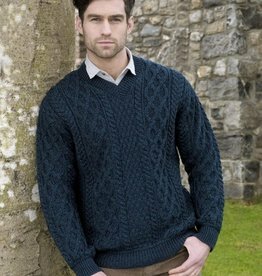 The Aran Sweater is part of Irish heritage but also has become a fashionable clothing item. 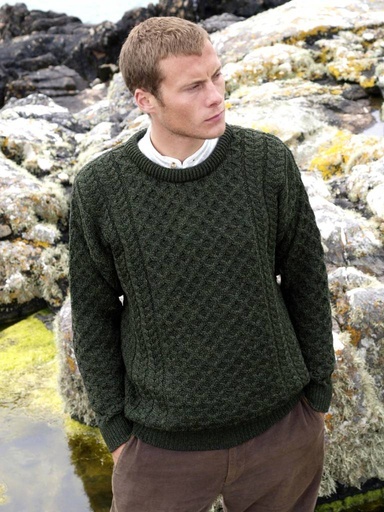 This crew neck aran sweater is one of the more traditional designs of the Aran Sweaters. 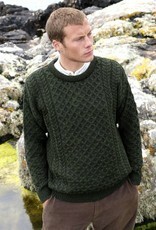 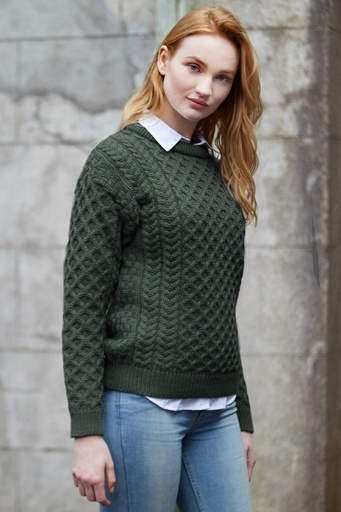 Keep warm & cosy with this authentic Irish sweater – it is a great sweater to remind you of Ireland. 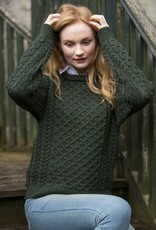 The Loden green color is beautiful. This item is made in Ireland.